All-inclusive Pricing. One-time Setup. One Low Monthly Fee.  Learn what sets PraxiSchool apart from the rest. See everything at a glance from a single desktop screen. Set up and maintain administrators, students, family members, and staff. Issue merits, demerits, hall passes and awards. View enrollment history, create student forms, and track student promotions. Schedule email and text blasts and view communication history for any member in the system. Track staff time and clock children in and out of daycare with unparalleled flexibility. Print barcoded student ID cards that students can use to buy lunch. Add 2 payers to one tuition account. Save time with the unique budget wizard feature. Do it live, do it once. It updates everywhere in real time. Set up automatic billing quickly and easily. Assign seats using our visual, drag-and-drop, classroom interface. Keep track of lunches, assignments and grades at the student or class level. Manage your grade book, lesson plans, assignments, communications, and attendance records in real time. Print individual addressed envelopes for any person on file. Create post-it notes on individual files for students for personal info like allergies, disabilities, etc. Set up a school donor fund. Turn existing records from family, staff, or students into donor records at the click of a mouse. Print/email contribution receipts at the end of the school year. Set up your grade book to reflect how your classroom is run. Track student conduct and progress, including activities, community service, awards and test scores, in real time. 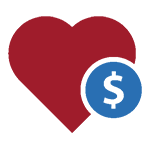 Create and print report cards and transcripts and pull custom reports and data a dozen different ways. Build and manage your school’s library catalog. Keep track of checked-out books and media. Charge and track library fines owed. Text/email overdue notices to parents and students. Create menu items for specific student groups (i.e. elementary vs. high school). Allow parents and students to order lunches in advance and choose from menu items. View lunch account balances for students and post payments. Print receipts in person on POS printers, live and in real time. Track immunizations, medications, allergies, and incidents. Ensure proper communication between students, parents, and staff in case of emergencies. Create one login for parents and students with predefined access to relevant areas. View & manage childcare, class schedule, attendance, homework, grades/report cards & disciplinary action. Create and store custom forms for re-enrollment.